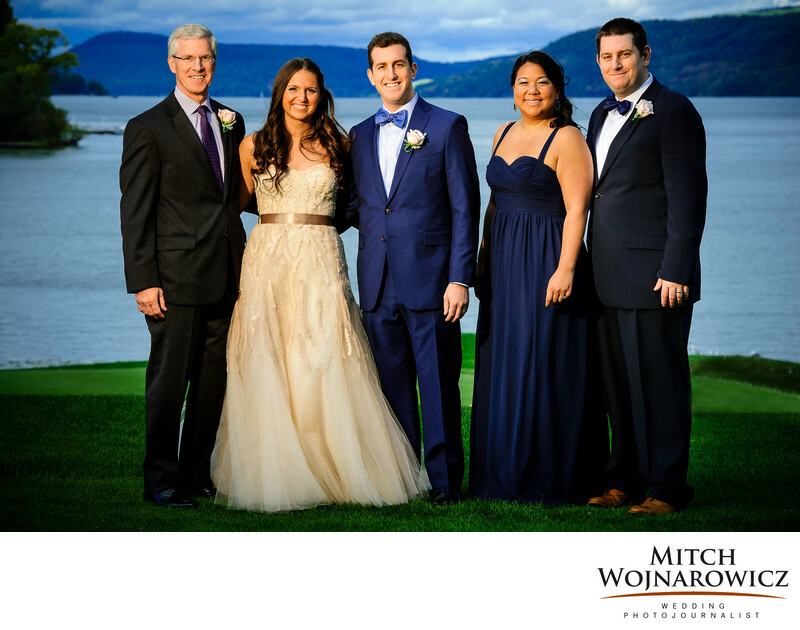 This Cooperstown wedding photo was taken at an Otesaga wedding on the shore of Otsego Lake. Ideas for formal wedding photos may often include a long list of images. But the family formal photos you need can be beautifully organized from a limited family photo checklist that captures your core family members and doesn't take up hours of the reception taking photos. My work as a Cooperstown wedding photographer has me taking images at the big name places like Otesaga weddings and Farmers Museum weddings. But I also enjoy working at the smaller venues and private locations all around the lake. If you’d like to see more of my Cooperstown wedding photos, you’ll see some links in this caption at the end. Or better yet, head over to my contact page here on my web site, send me an inquiry and I’ll be happy to talk with you about doing your wedding photos in Cooperstown. Planning the wedding group photos, wether they are family formal wedding photos or more relaxed groups is very easy when you work with an experienced photographer like me. I have years of doing this and will happily give you the guidance needed to make great wedding group photos in a short amount of time. You’ll be back to your friends and family in no time! Keywords: cooperstown (9), otesaga (9).